The event included music, speeches, plays, break dancing, banner and button making, postcard-writing, and food. It involved conversation, a mingling of supporters who dropped in and out, and many important interactions. Over 25 people took the microphone to describe how their lives have been impacted by the criminalization of homelessness and why legislation is needed to end this harmful trend. The gathering was passionate, peaceful, accurate, thoughtful–and joined together all who attended with a spirit of hope, solidarity, and community. 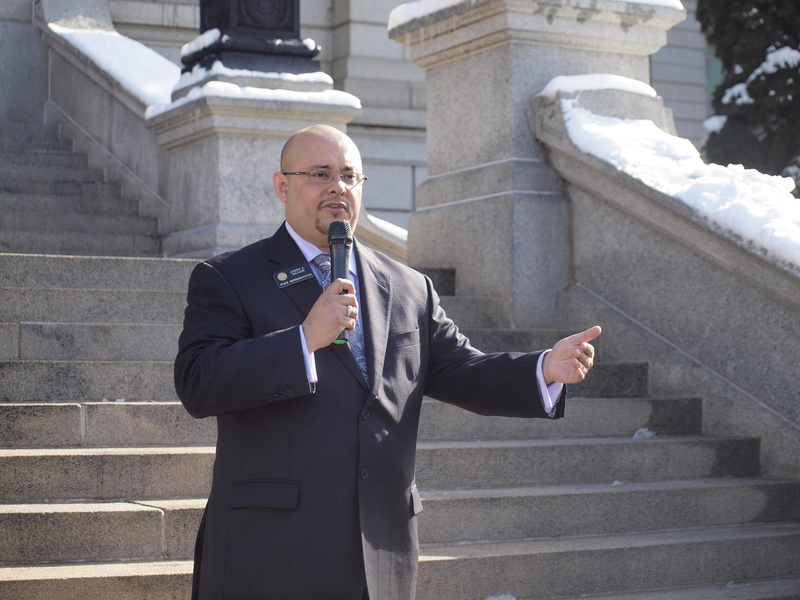 In short, it was a unique event in Denver — one which should give momentum to the legislature’s consideration and passage of a Right to Rest Act for the state of Colorado.